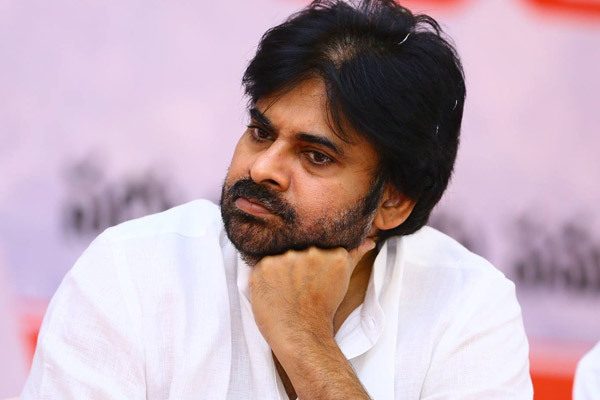 Janasena president and actor Pawan Kalyan is going to contest from Gajuwaka and Bhimavaram in the upcoming assembly elections. Earlier today, he filed nomination for Gajuwaka constituency amidst great fanfare. Following the norms, Pawan has submitted an affidavit disclosing his assets and liabilities to the election commission before filing the nomination. 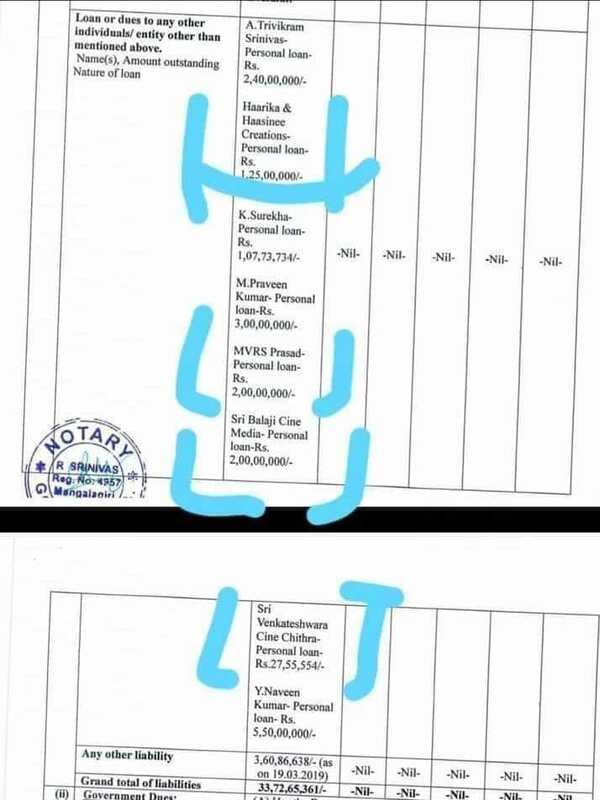 A copy of this affidavit has been making rounds in social media and this is now raising the eyebrows as Pawan Kalyan owes a staggering 33 Crores to various prominent personalities in Tollywood. As per the affidavit, Pawan Kalyan took personal loans from his close friend Trivikram Srinivas, Y Naveen Kumar of Mythri Movie Makers, Haarika and Haasine Creations, SVCC production house, Sri Balaji Cine media etc. Surprisingly, he also owes one Crore to K. Surekha( Wife of Chiranjeevi). It is mentioned that Pawan took loans from these persons and it accounts to 33 Crores 72 lakhs in total. 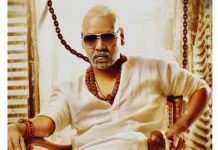 It is a known fact that Pawan has openly affirmed during many media interactions that he has no plans to return to silver screen and also rejected many movie offers. So, it is very surprising to know that he hasn’t cleared the advances till now. Even if he had plans to do films after these elections, he would need 2-3 years to fulfill all his obligations. Long back, it was alleged that Pawan took a hefty advance from Mythri Movie Makers. Later, there were unconfirmed reports that he will return the advance as he didn’t do a film for them. However, going by this affidavit, it seems like Pawan hasn’t returned the advance to Mythri Movie Makers.